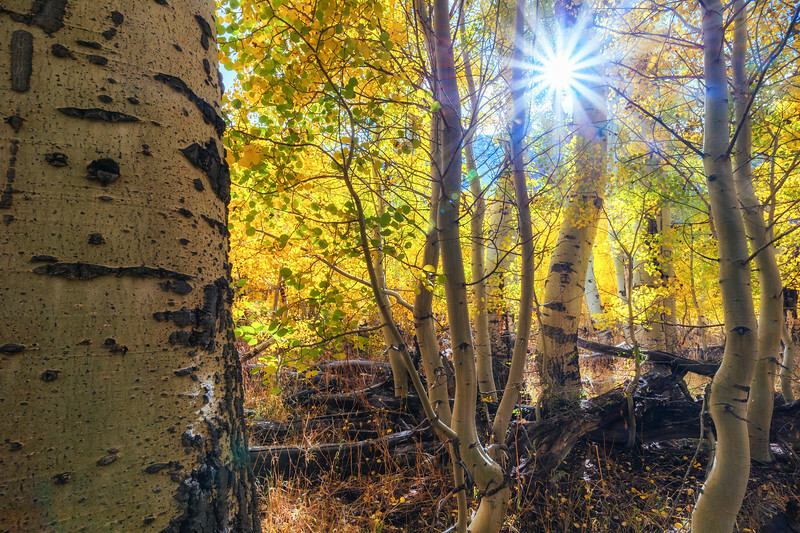 Aspens at the far end of Park Lake. 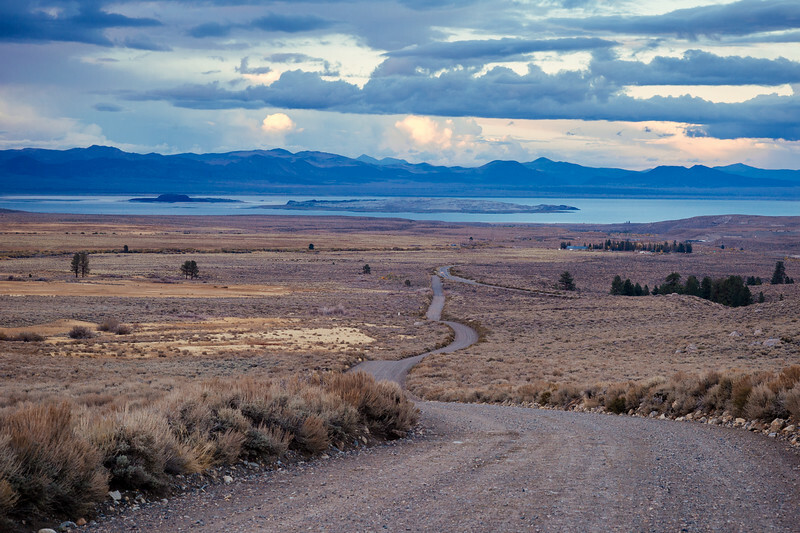 Looking down Parker Lake Road toward Mono Lake. 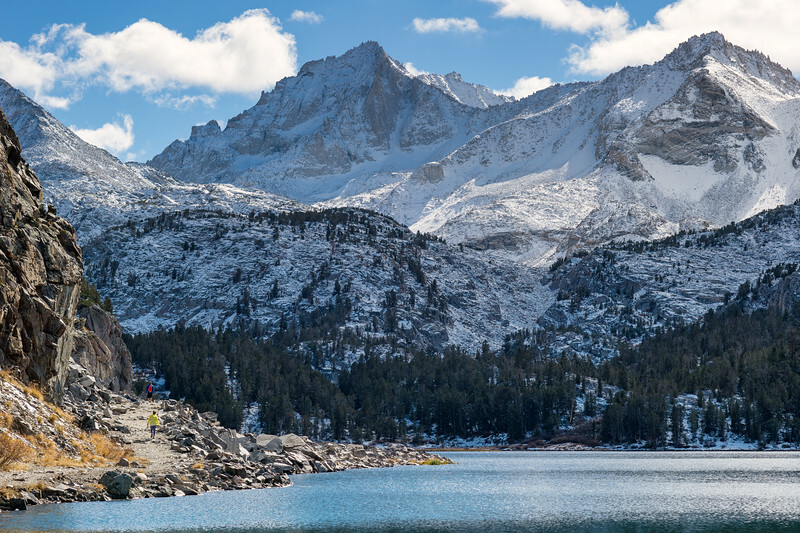 Hikers along Long Lake in the Little Lakes Valley at the end of Rock Creek Road. 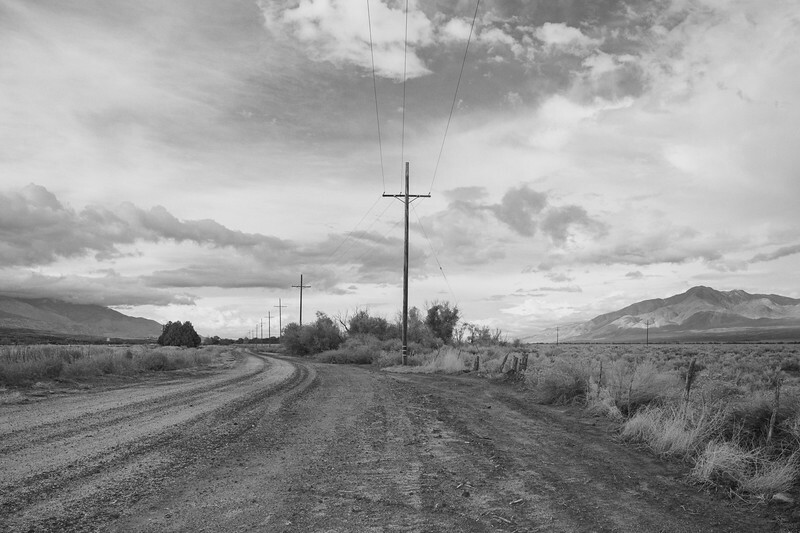 Dirt road adjacent to U.S. 395 in the Owens Valley. Ansel Adams Wilderness sign along trail to Parker Lake. 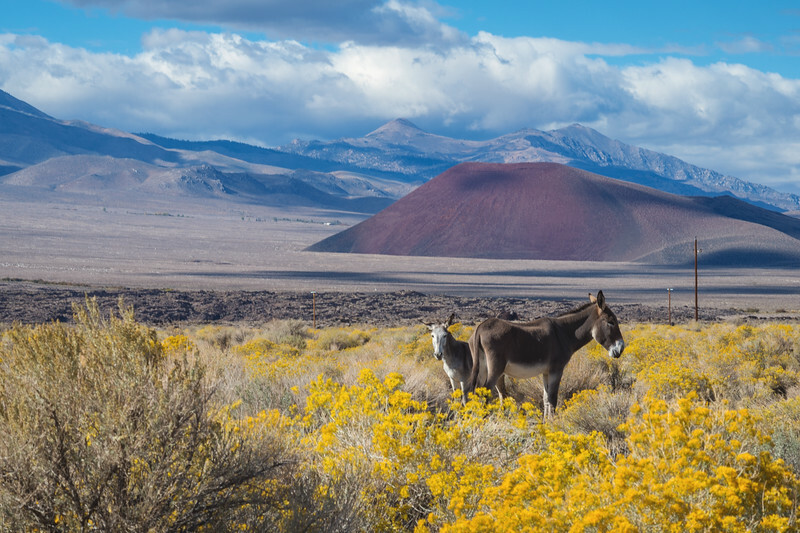 Two wild burros that were reluctant to greet our car, perhaps a mother and offspring. This burro was tamer than my dog. 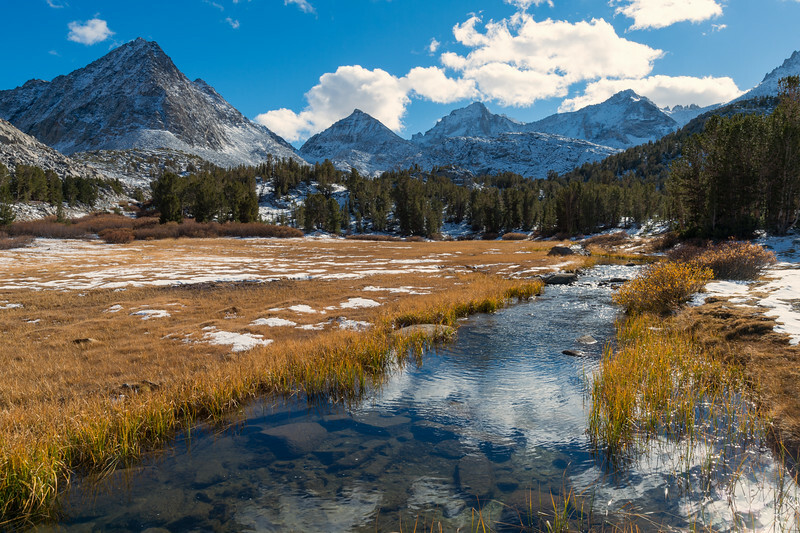 Rock Creek and the peaks of the Little Lakes Valley. 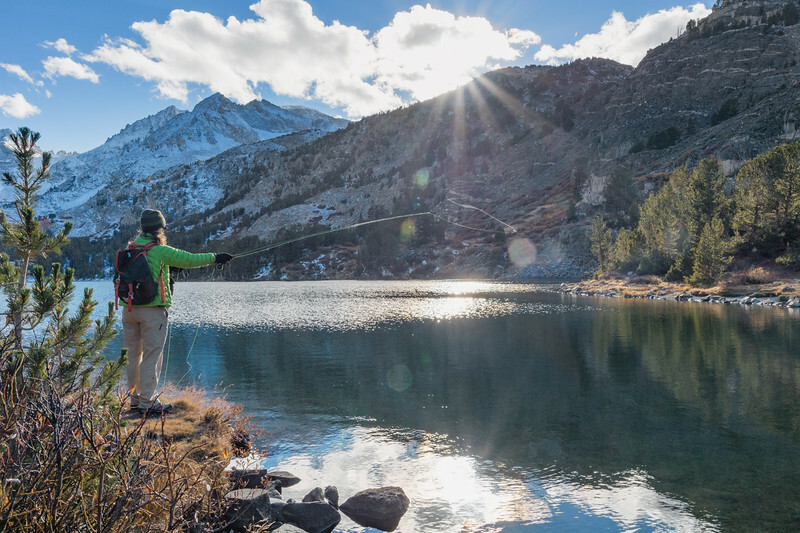 Fishing at Long Lake in the Little Lakes Valley. 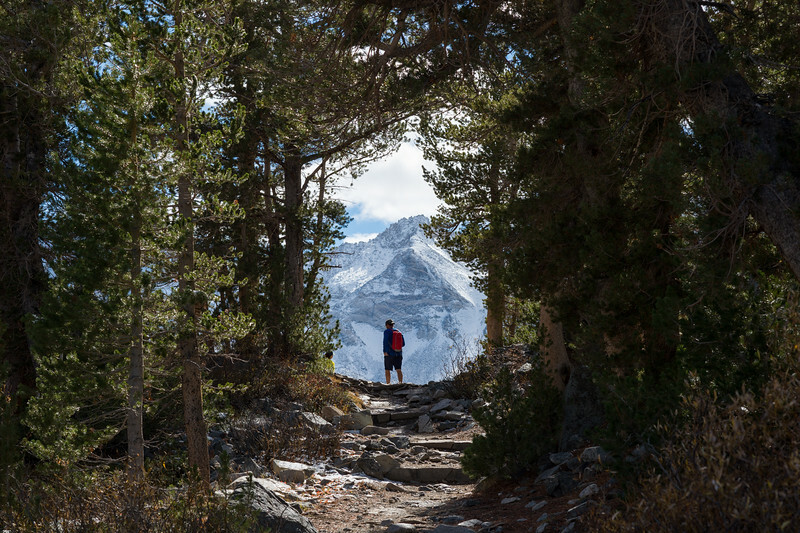 Silhoutte of a hiker at a well-known photo spot in the Little Lakes Valley. 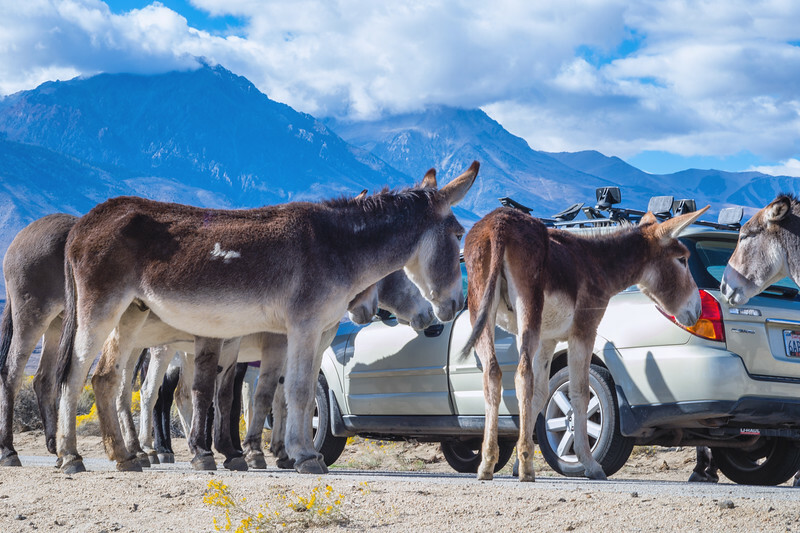 Wild burros surround my Subaru in the Owens Valley. 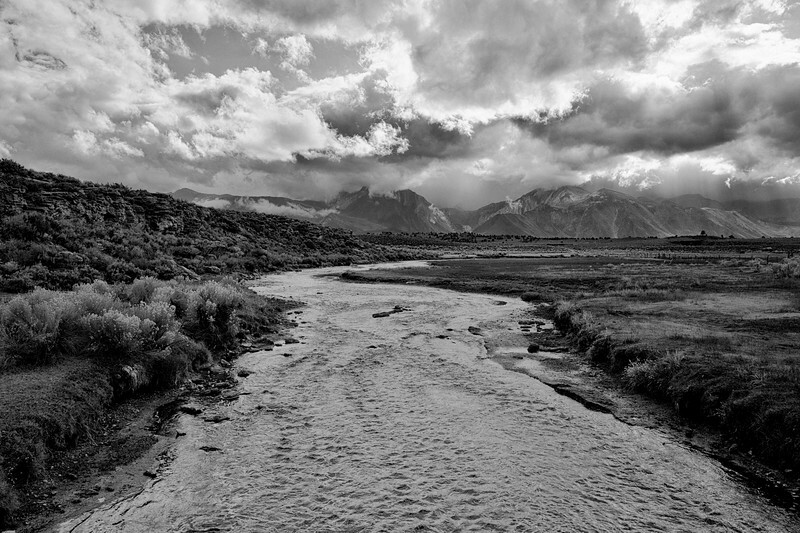 Hot Creek and the Eastern Sierra on a stormy day. 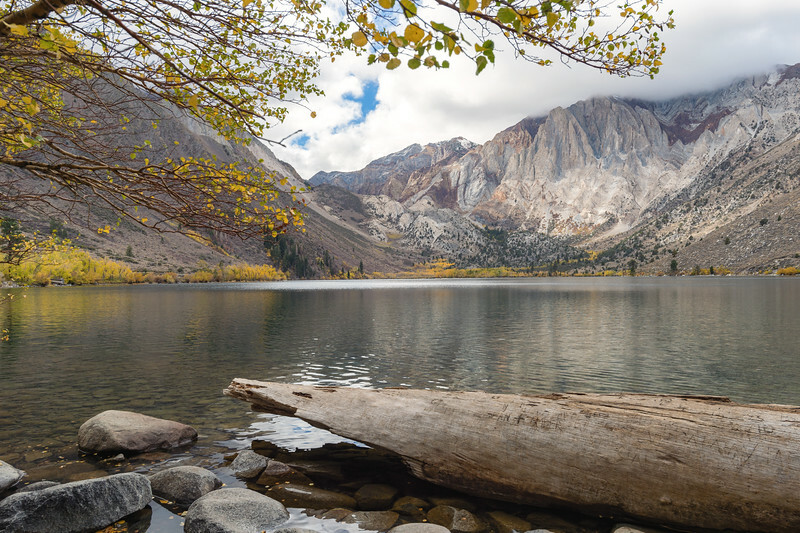 Convict Lake from the bridge -- popular photo spot in the fall. 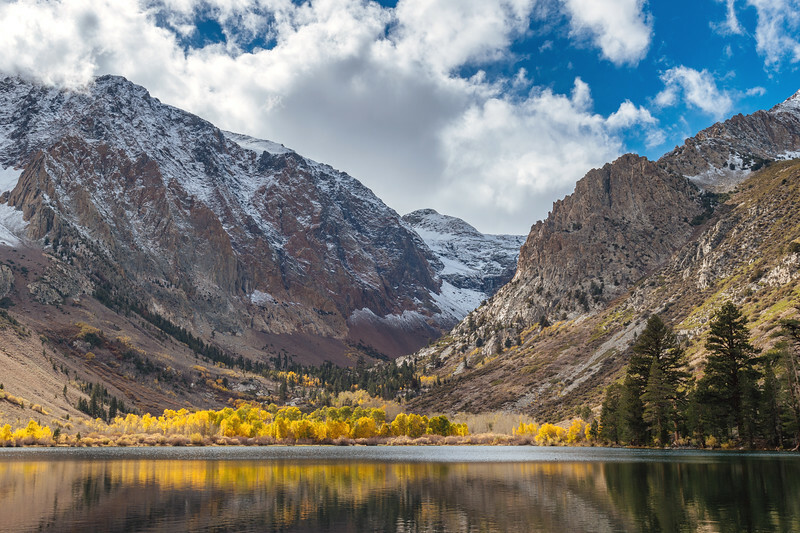 Looking toward Pine Creek Canyon from Lower Rock Creek Road. 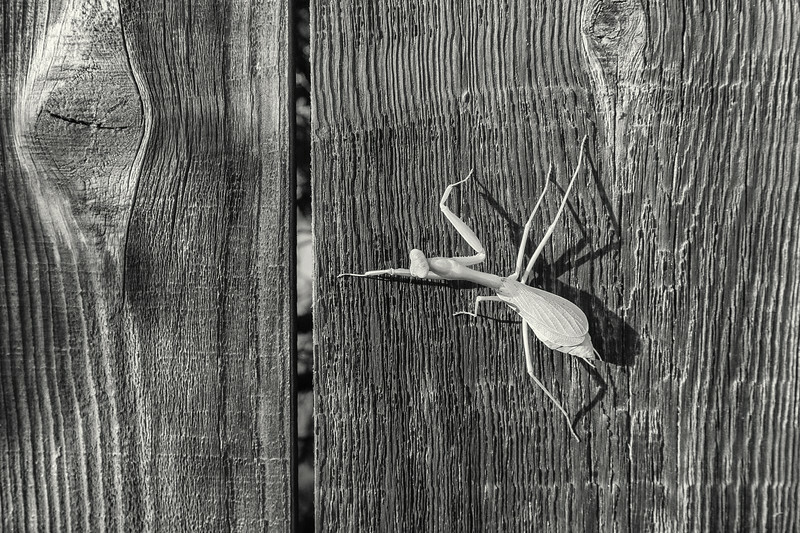 A praying mantis on a fence in Bishop. 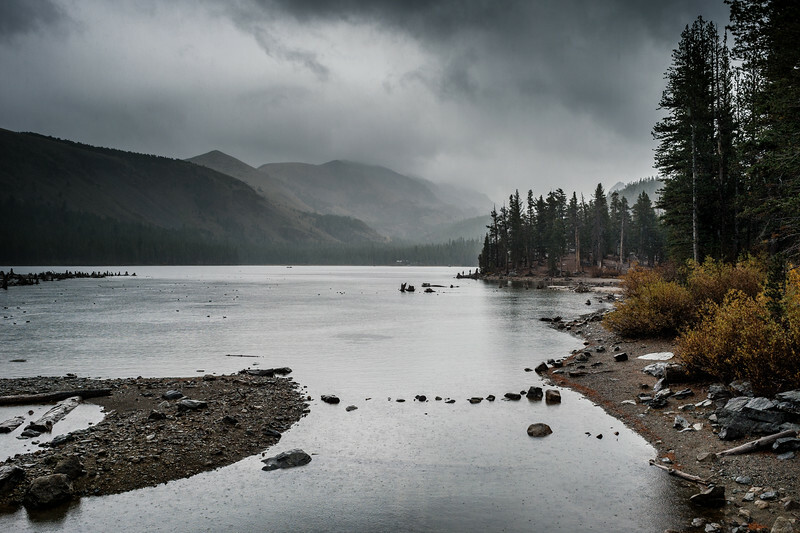 Lake Mary in the rain. 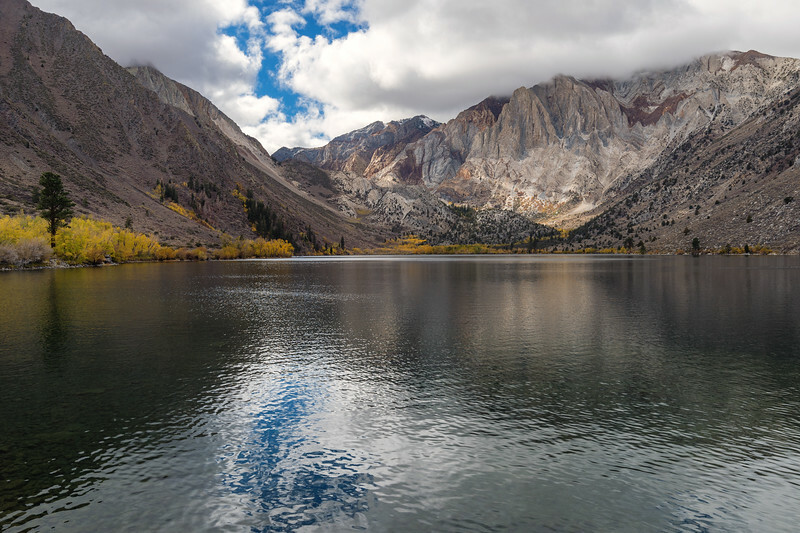 Spent last weekend in the Eastern Sierra. The forecast was crappy for some of the trip -- correctly predicting rain -- but I like it when it's cloudy and chilly up there. 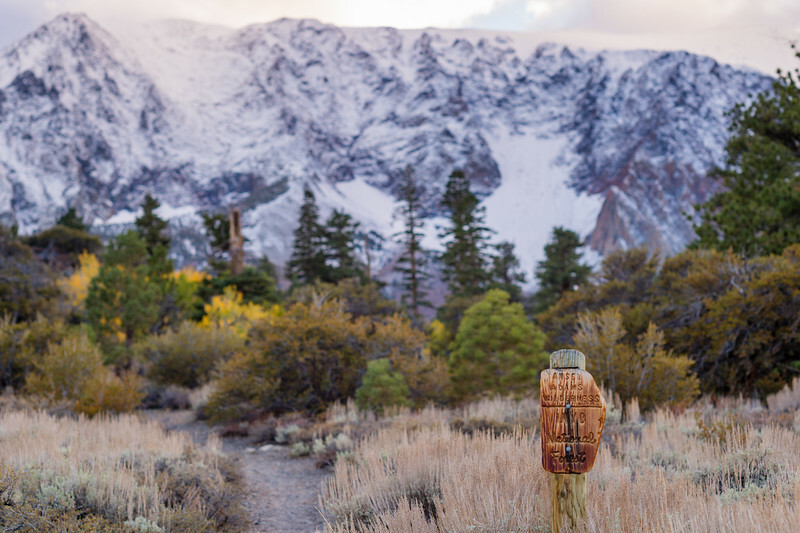 Good for photographs and fun to get that vivid reminder that winter is coming. Perhaps a big one if the El Nino predictions are correct. 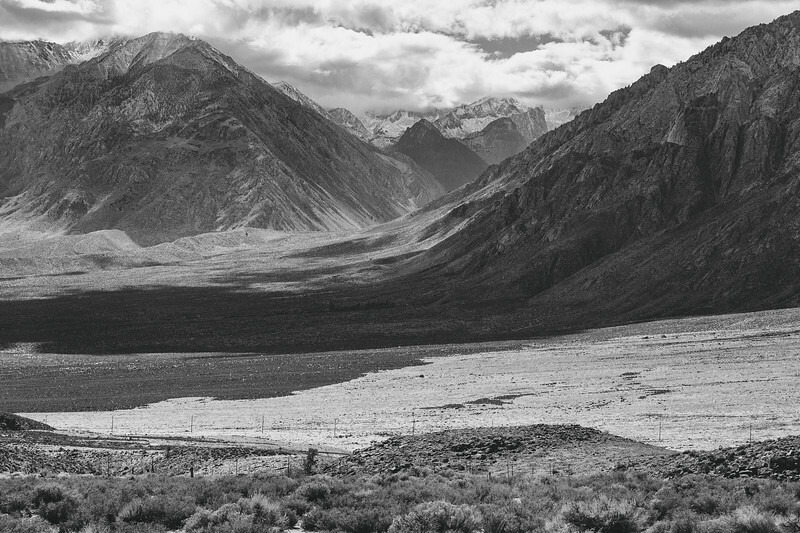 I felt like it was a good trip photographically-speaking. We visited a lot of well-known places but I had some weather and just tried to make a few nice photos. 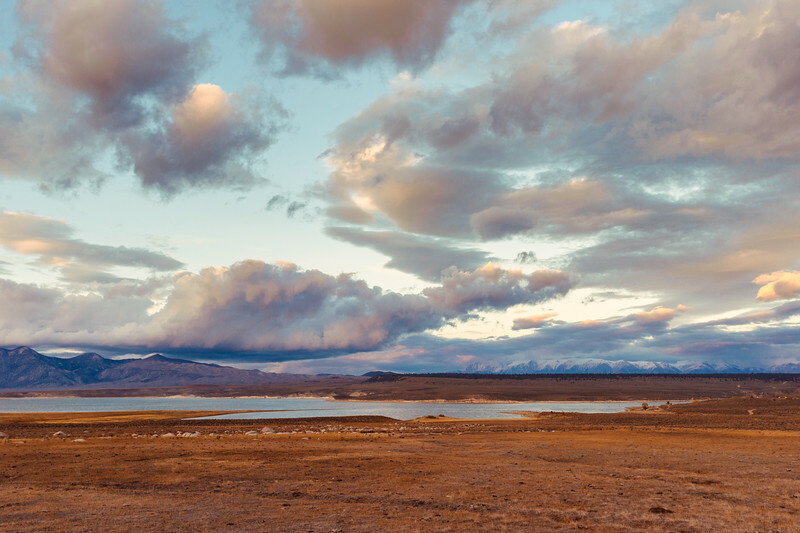 The light was challenging with a lot of bright skies and/or clouds coupled with mountains cloaked in shadows. Generally, I tried to meter for the brightest part of the sky and then over-expose by two stops -- a decent formula for not blowing out the highlights and preserving the shadows for later processing. 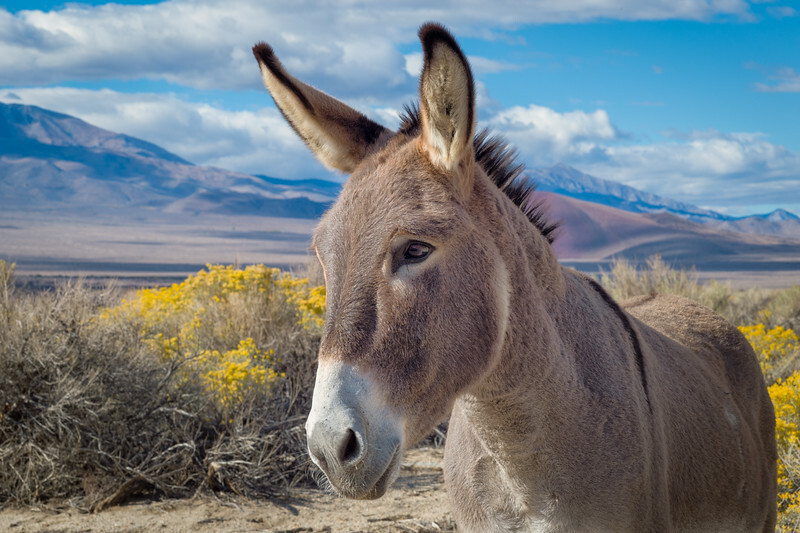 My favorite photos are of the wild burros, taken during the drive home from Mammoth. We pulled off 395 to take some pics of volcanic features. Shortly, a wild burro was trotting down the road to greet us. And then about a dozen more emerged from the surrounding brush in a single file line, surrounding the car. Our pit bull in the backseat went berserk but the burros were bombproof and hung around the car looking for treats.